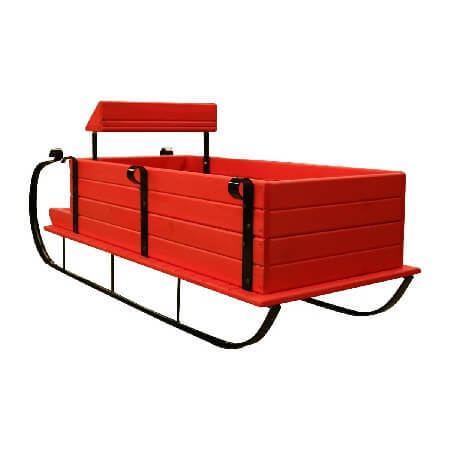 Grandma's house will have nothing over your retail store when you add the Farmers Sleigh Display painted apple red into your retail establishment. Show off merchandise such as toys, wrapped packages, holiday decor and more. Surround with complimentary decorations to achieve the look of a beautiful winter wonderland. 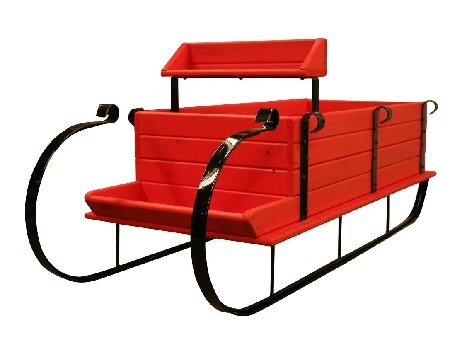 The wooden sleigh display is made from a high-quality pine wood. 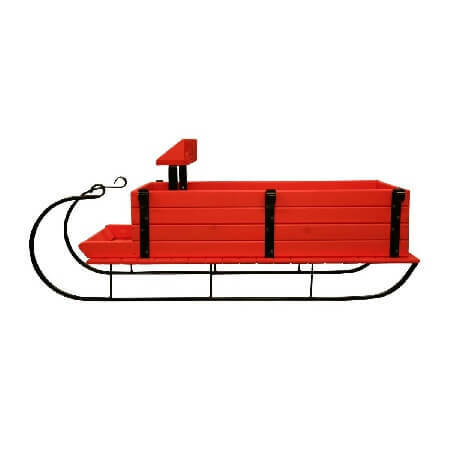 All the metal parts are powder coated black for extra durability to withstand the elements outside in the snow or indoors. Add a little diversity to your landscaping decor. Order yours today! 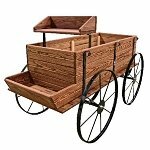 Overall: Length 64" - Width 28" - Height 27"